My thoughts; The first thing I want to start with are my dislikes. First, I feel like the whole Neferet thing is being drawn out. I just want it to be over. If the series is going to continue lets get a new villain Her story is, IMO, starting to seem repetitive. Second, I have been reading this series for (I think) five years and all the characters are basically the same age. I just wish time would move forward more. After ten books I feel very vested in these characters. I have watched Zoey since the moment she was marked. I have seen her meet new friends I have cried with her when she has lost those she loved. I have also cried when a few of those were returned to her. But, I have not cried more than when Heath died. A part of me will always love him the most and I knew this book was going to be difficult. Aurox is struggling with the humanity that is inside. He knows he is more than darkness and he longs to be free of the beast. Zoey knows what she saw in the seer stone but she refuses to believe that it can be true. This circle of friends is once again in for the fight of their lives. Neferet is as vile as always, she blames Zoey for everything that has gone wrong in her life and she will stop at nothing to see Zoey destroyed. We see friendship lost and new friendships form. Darkness becomes light and light is lost to the darkness. 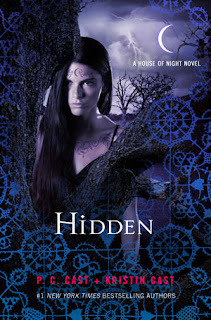 House of Night fans will not be disappointed.